So you bought a PlayBook on a screaming deal. Excellent, and thanks, I work at BlackBerry and appreciate your faith in us. Like you I am a user of BlackBerry products as well and I work with Media (specifically Media syncing). I write this blog post from the point of view of a BlackBerry user, not an employee, so don't take this as official from Research In Motion (the makers of BlackBerry). Perhaps like me you have been using iTunes for years to purchase music. iTunes has been a great source of content as I have moved from physical media to digital content. I won't talk about the BlackBerry options for syncing your iTunes library to your PlayBook but take a look at the BlackBerry Desktop Software if you'd like to do this. What I want to talk about today is making the leap to purchasing music on your BlackBerry PlayBook and show you how easy it is to do. 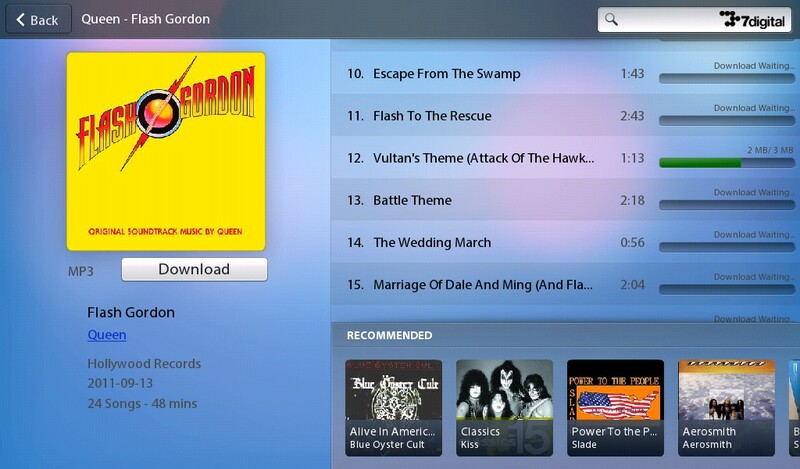 First, swipe up your PlayBook and go to the Music Store app. Next register a new account (and your credit card with 7 Digital) if you need to, or login to your account. To get to your account swipe down to get to the "Options". Purchase some music and you are done for purchasing music. No problem. When you are your PlayBook setup after wiping it, or maybe after setting up your 2nd PlayBook, let's get your Music back onto your PlayBook. Open the Music Store again. "Flash Ah AH...Savior Of The Universe! "....ah, sorry, where were we. 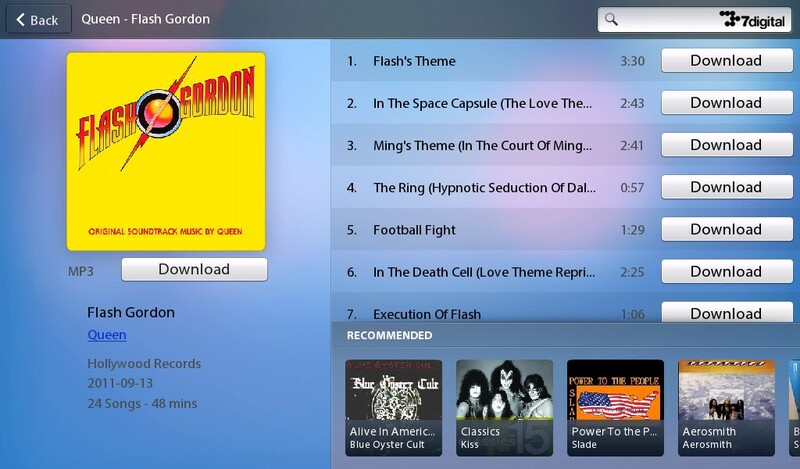 Right, downloading my previously purchased music. 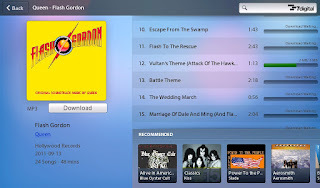 This being Flash let's download the entire album by selecting the Download button under the artwork. What if I have a 2nd Device like another PlayBook or a BlackBerry Bold? 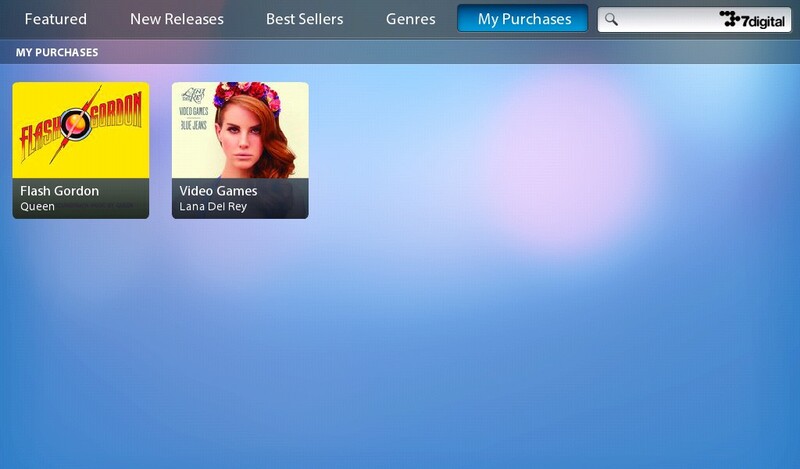 If the 7 Digital App is not installed on your phone, go to the App World app and search for 7 Digital. 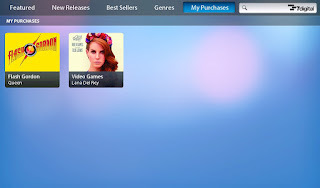 Setup your 7 Digital account. 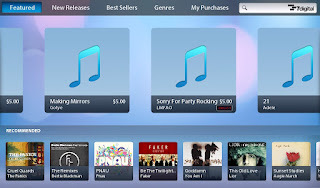 Purchasing and using music on your BlackBerrys is easy and you can rest assured that you can get your music later when you want it on a new device. 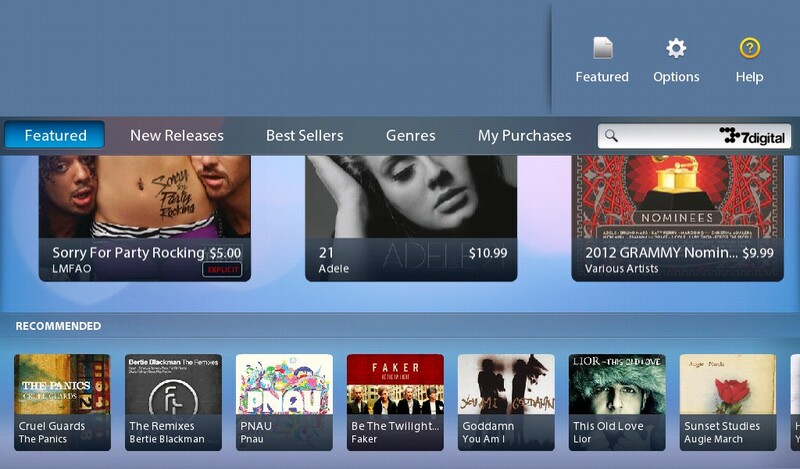 7 Digital: The Music Store on BlackBerry PlayBook. 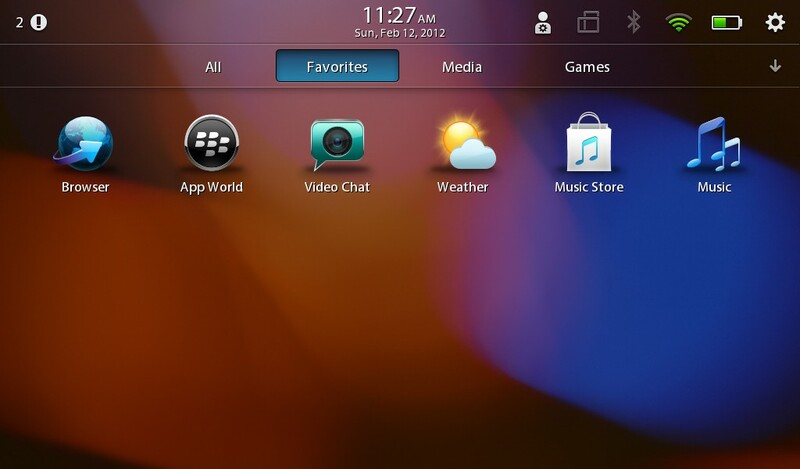 BlackBerry Desktop Software: Sync your PlayBook with your Desktop (Windows or Mac).